Her project, “Proteostasis to Allostasis: Integration of Cellular and Organismal-Level Stress Responses,” will critically evaluate how a stress response is regulated while improving scientists’ understanding of stress responses at both the organismal and cellular level. The study is made possible through a five-year, $1,018,132 CAREER Award from the National Science Foundation. Scientists have long studied stress responses at the organismal level and cellular level separately, but the connection between the two levels is unknown. Wada will investigate how those levels link together, and how stress responses change with a previous exposure to a stressor and developmental conditions. 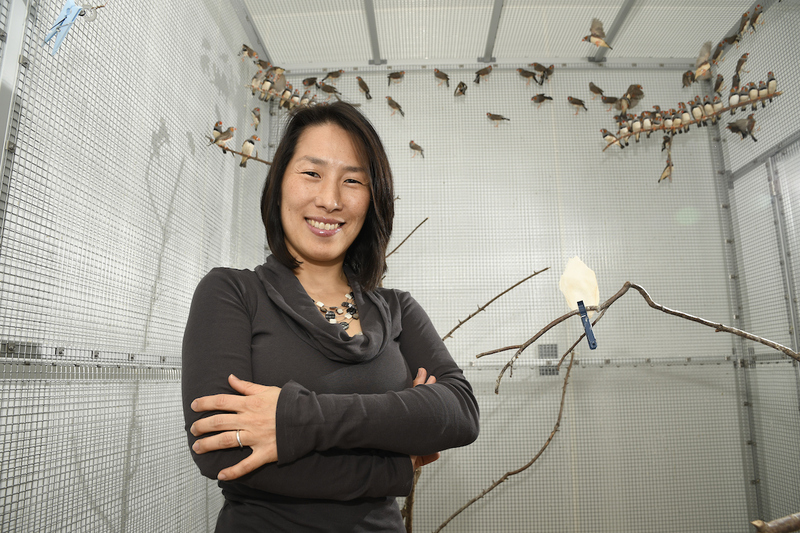 Wada and her team are currently using heat conditioning, a mild stressor applied to juvenile zebra finches the team is raising, as a way to increase stress tolerance in adulthood. For a month, the birds are exposed to mild heat stress for a few hours each day. As the birds become adults, they are exposed to higher levels of heat stress and are able to better tolerate those higher levels. Though there are benefits of short-term, moderate stress, prolonged stress can cause long-term elevation of adrenalin and cortisol, which can lead to high blood pressure and suppressed growth, reproductive, immune and memory functions. As part of her CAREER Award, Wada will work with the College of Sciences and Mathematics’ STEM-IQ program. The program trains middle and high school teachers from rural areas within the southeast region of Alabama to promote participation in science fairs and enhance the overall quality of science projects. Wada is developing a module to educate students about stress and ways to cope with daily stressors. She will also open her lab to teachers and students to help them conduct research and prepare for science fairs. Haruka Wada, assistant professor in the Department of Biological Sciences.